Home improvement is challenging, but with the right ideas we can achieve beautiful results. Your living room is an incredibly important part of your home. It's where you entertain guests, relax on the weekends, watch your favourite movies, cuddle up with your best book and snuggle with your loved ones. The trick is to have a living room that is comfortable and functional with enough decor and furniture to make it cosy and personal. However, it shouldn't be too cluttered or crowded, especially if it is a small space. Not to worry, though. 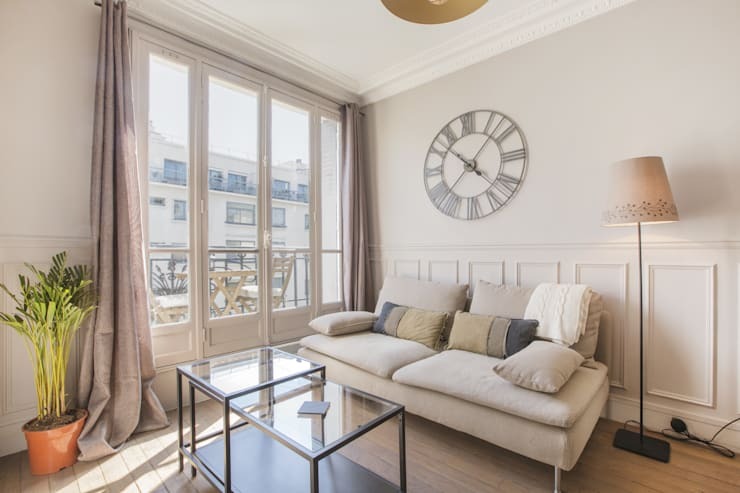 Today at homify, we are going to give you the perfect guide for laying out your small living room. 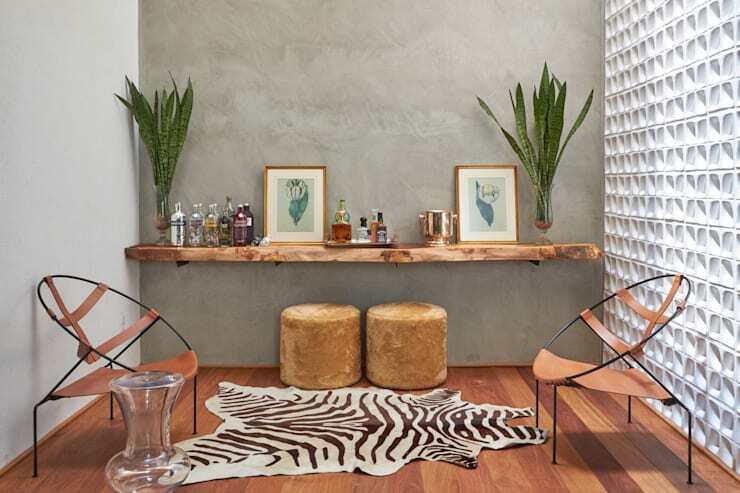 You'll end up with the trendiest, funkiest and most perfectly laid out living room on the block! Don't you love this design by Meero? The first step to a functional living room is enough sitting space. You want to be able to fit all of your friends and family members into your living room for movie nights and after dinner cups of tea. A small sofa and an armchair provides at least five seats for everyone to come together. And yet, it doesn't take up too much room. It still allows for enough space for a little coffee table, a cosy rug and even some artwork. Remember to include some cosy and colourful cushions on your sofa and armchair, to lighten and brighten the room. In this design, we can see how a coffee table and a sofa create a very classic look and feel. This especially works when you have a very small apartment where the furniture needs to be simple and functional. Don't bog yourself down trying to put side tables, armchairs, bookshelves and other accessories into a room when there is no space. Go for the bare necessities. Remember that neutral colours, such as the beige, cream and soft brown that we see in this design is perfect for a small space. It's light and soft and works incredibly well with very simple and sleek furniture. 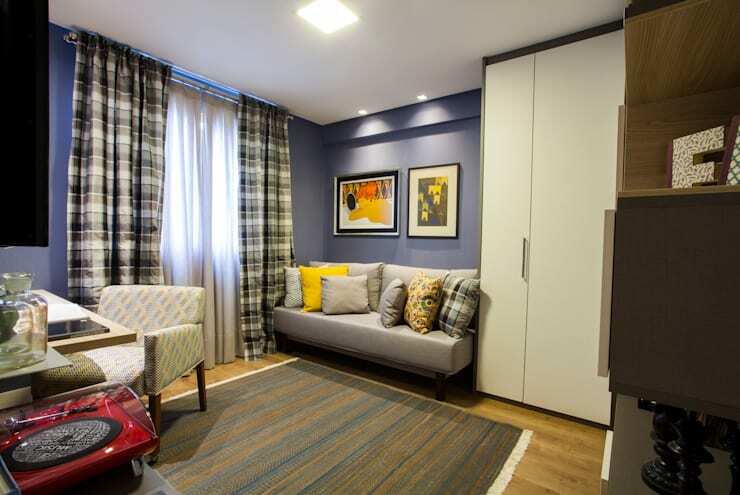 When it comes to a small living room, you want to utilise every nook and cranny. The corners are the most important! You don't want to furnish this space and end up with big gaps in the corners where there is wasted space. Utilise your corners like the designers have done in this image. Push your sofa right into the corner, especially if it will fit into a little nook like this one. You can also push a bookshelf or a little table into the corners of the room. Also remember to utilise vertical space. Hang up floating shelves that fit neatly into the corner. Check out these: Tips to create a really cosy living room. This makes perfect sense, especially in a small space. If you want to watch television, it should be right in front of you like in this design by Estudio HL. The great thing about this is that you can choose how to display your television. Mount it on the wall, like in this design or place it strategically on a gorgeous and stylish television cabinet. Mounting it on the wall will take up less floor space so go for this option if you have a particularly narrow living room. Otherwise choose a long and sleek television cabinet like the one in this image. A neutral coloured television cabinet is recommended because you can then style the room with colours as you see fit. 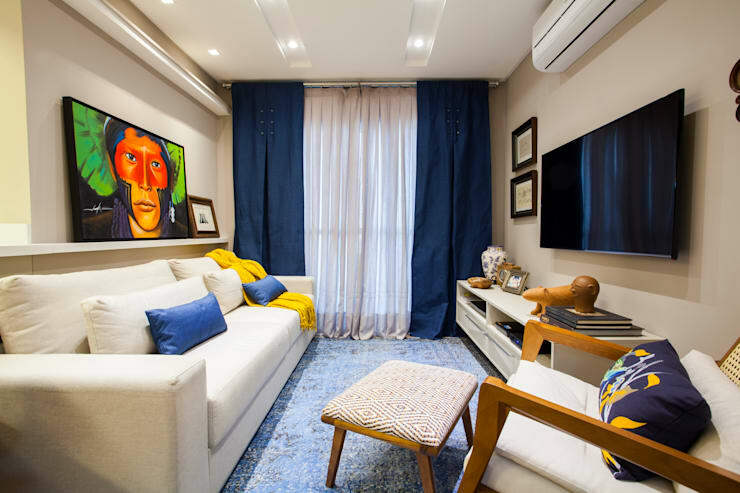 You'll notice that in this design, there is a neutral sofa and television cabinet, which the designers have paired with a bright piece of art, colourful cushions and a yellow throw. 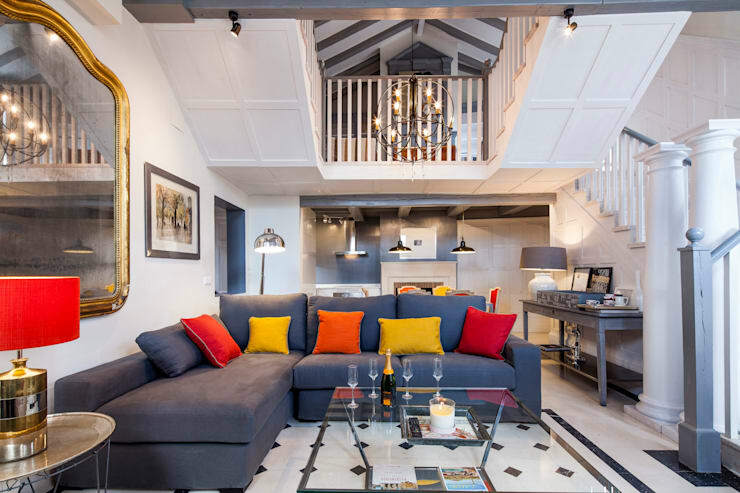 If you have an open plan home, like this one, then you may want to go for an L-shaped sofa which will work as a barrier. It will clearly define where the living room begins. An L-shaped sofa also provides a daybed for those days when you want to lie down and snuggle with a good book or watch a film. It can also seat more people, without having to add extra armchairs to the room. Look how stylish and fabulous it looks as well! Have a look through the homify sofas and armchair products for inspiration. A sofa bed is the perfect solution in a small apartment, especially a studio apartment. It is the most functional piece of furniture you can invest in for your living room. A sofa bed is a sofa that folds out, converting into a bed. This means that your living room can turn into a bedroom in one, easy movement. 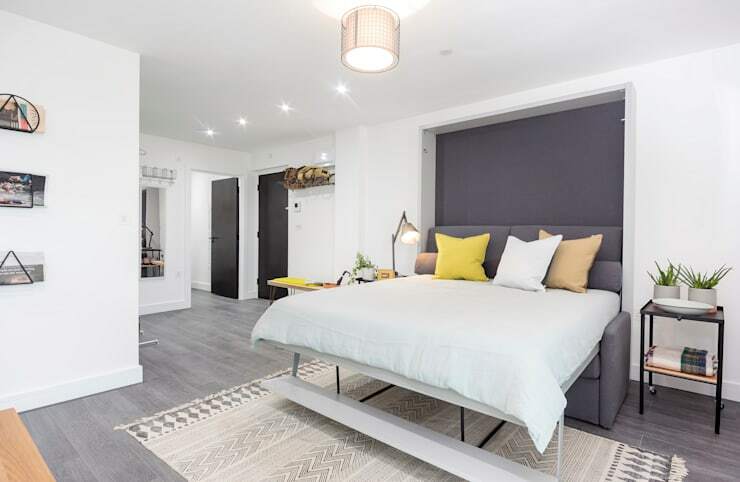 What better way to make the most of a small space than having a living room that doubles up as a bedroom? Sofa beds are very retro and hipster so invest in a high quality one. This one, for example, is very stylish and functional. You don't want to go budget and then have it get stuck halfway through its transition! 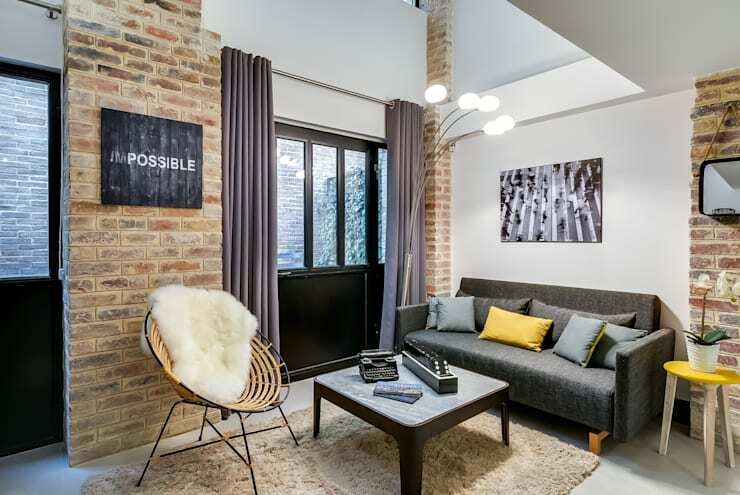 If you have a very small living room then stick to simple and sleek furniture, leaving the sofa completely out of the equation like Piloni Architects have done in this design. Look how much more room there is! Choose stylish armchairs or funky ottomans instead, pairing them with a trendy rug like this one. You'll have plenty of space for dance parties, walking around and entertaining your family and friends. A symmetrical look,like this one, works for this kind of design. Which layout would work best in your home?